Beautiful plant, grew very well but doesn't look like it will come back this year. Time will tell as the weather warms up. Bought a lot of these 9cm plants and many looked sickly on arrival and about 20 percent died soon after planting. Planting conditions in my garden are ideal for lavender so I know that isn't a problem. Crocus did replace but it was a bother having to pull out and replant the dead ones. Not sure would buy these again. Ones bought from local garden centre were half the price and larger and have grown much more successfully. Shame as other crocus purchases have been good plants. 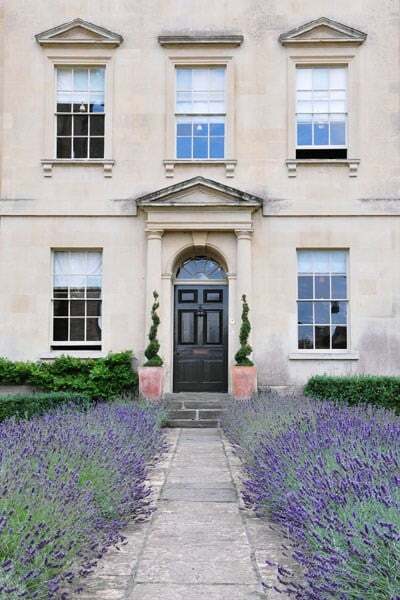 I am looking for a long flowering lavender suitable for planting in large rectangle planters (I have put about eight planters 1m x 0.5m x 0.5m along the front of our house). Can you advise whether the Hidcote variety would work. I've also looked at the pendunculata variety that has the pretty butterfly appearance but they seem to have a much shorter flowering period. Perhaps I need a mix? Most grateful for your advice. Hello there Lavandula pedunculata subsp. pedunculata is a lovely lavender which you could use, but these are classed as borderline hardy so may need protection during the winter. Lavandula angustifolia 'Hidcote' does have a longer flowering period, is very popular for hedges and it is fully hardy. I think this would look lovely in your planters. Hope this helps. How big are the Lavender Hidcote plants that come in the 1.5 litre pots? Thanks Helen but that doesn't sound right at all. Surely you mean between 5 inches & 15 inches?? not cms. I'd ordered, received & planted the lavender by the time I got your response & thankfully the lavender was no where near as tiny as you quote. Hello, It depends on the time of the year, but these plants can be anywhere between 5 and 15cm tall. Lavendula ang. 'Hidcote' Would Lavender ang.' Hidcote' be flowering late August...early September My son is getting married 4th Sept and they want to have this plant as a centre piece in the middle of the tables x 11? When do I plant Lavender? What is the best time of year to plant Lavender Hidcote? As a rule, hardy plants grown in containers, such as the Lavandula angustifolia Hidcote, can be planted at any time of year as long as the soil isn't frozen solid. The best times are in the autumn when the soil is still warm enough to encourage root growth but the plant isn't in active growth, or the spring before the temperatures start to rise, however you can plant in mid summer as long as you make sure the plant is kept well watered. Which Lavender will grow in a pot? I would be so grateful if you could help me. I am trying to buy an 82 year old lady some sweet smelling lavender for a birthday present. she only has a balcony, so it would have to live in a pot. Do you have anything suitable? How many plants do I need for my lavender hedge? I want to make a 'Hidcote' Lavender hedge, which will be around 8.5m long. Could you tell me how many plants I would need. 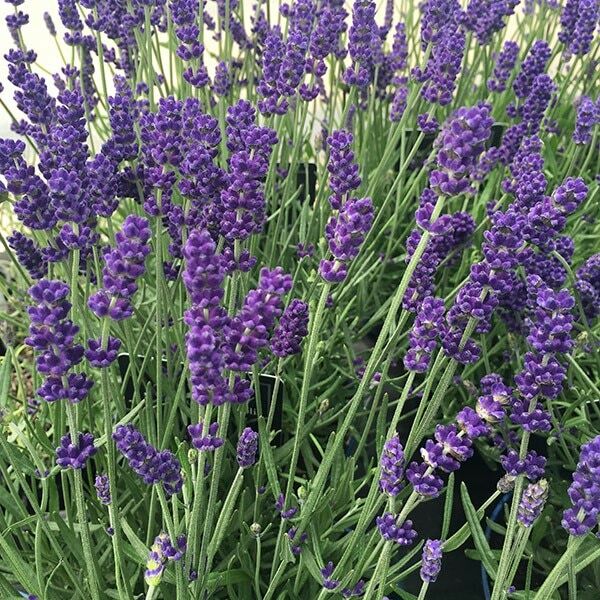 Ideally these Lavenders should be planted at 30cm intervals to create a nice, dense hedge, so you will need around 28 plants to cover the 8.5m length.